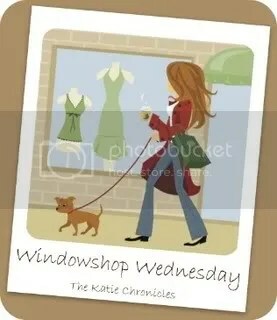 Today marks week six of Windowshop Wednesday with Katie! We’re going to click on over to Zappos.com for this installment. My Zappos wishlist includes items for a nice date night with the hubster. I just love how the dress is a classic style with an edge. We would HAVE to go dancing in these outfits. I wish I could talk my hubs into wearing a suit to dinner. He's very much a t-shirt and cargo shorts kind of guy. Which is a shame, because he looks AMAZING in a suit. oh – i have back to school shopping coming up very soon and I'm not sure i'm looking forward to it! the boys even want to go with me this year and not thier Dad! I'm going to have my hands full! Those steve madden shoes are fabulous! LOVE them!